Posted on Wednesday, November 29th, 2017 at 4:36 pm. The holidays are here! My favorite time of year to give gifts to everyone I am thankful for. While Black Friday has passed, my favorite time to get holiday shopping done is at Holidays in the Vineyards! The event always happens the first weekend in December, the wineries put together a ton of fun wine specials, make sure their shelves are stocked with gifts for me to take home, and they always have THE BEST vendors! I’ve started mapping out some of my purchase for the weekend already. Wanna see?! I’ll share them, but you have to promise that if they are close to selling out, you will save some for me. 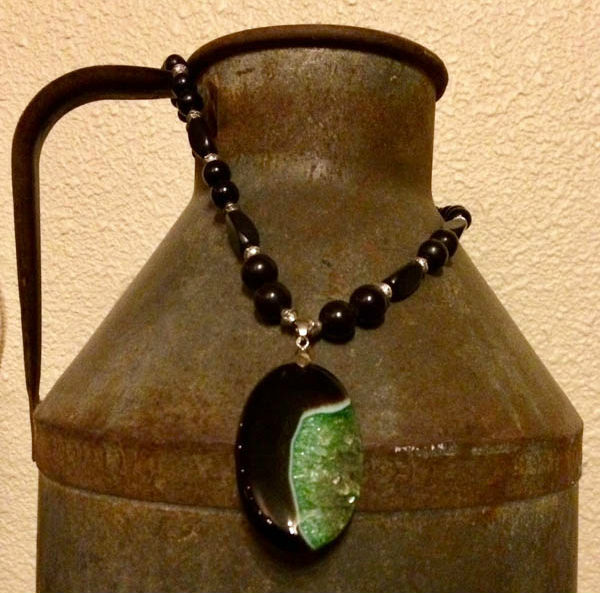 You are sure to find jewelry vendors at nearly all the wineries on Holidays in the Vineyards weekend. There will be something for everyone, that we are sure of. How can you go wrong with a beautiful hand-tied necklace or a set of semi-precious stone earrings? We love the work of artist Bev Patterson who will be hosted at Charles R Vineyard for the event. Her passion for jewelry grew out of trips to the Haight-Ashbury with her mother where she would give away necklaces made with fluorescent beads! Stop by to hear a story and check out some of her beautiful pieces. If you can’t make it to Holidays in the Vineyards, el Sol Winery has an in-house jewelry team, The Sol Sisters. You can stop by their tasting room anytime throughout the year to pick up a gift for your fashionista. Have someone who is always looking for that new fresh touch to their home? So many of the wineries have awesome wine barrel art that you can pick up as a gift. 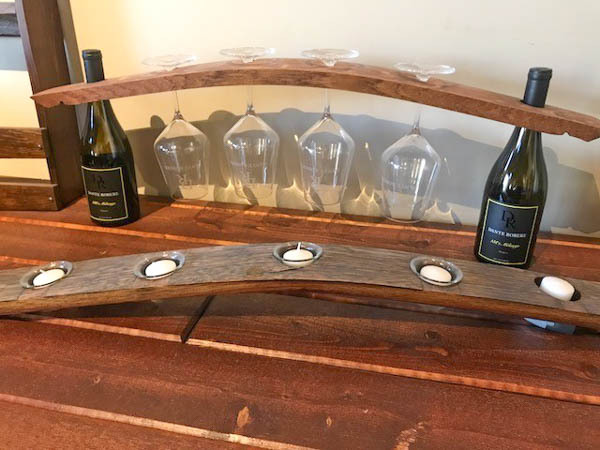 While places like Dante Robere have items like these beautiful Barrel Stave Candle Holders and Stave Glass Holders, many wineries will also be hosting specialty vendors with bigger ticket items like coffee tables, chairs, and more. A beautiful candle is a classic gift for any type of person, really. 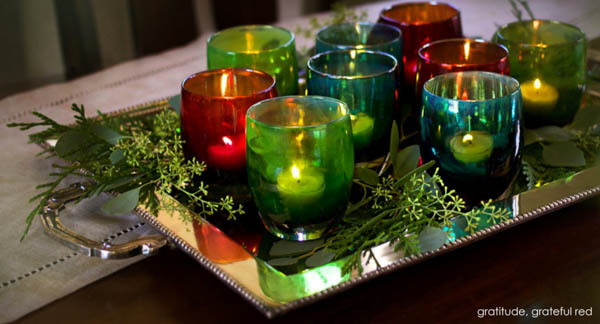 Glassy Baby, a vendor at Mitchell Katz Winery, will have beautiful hand-blown glass candles and they donate 10% of all their sales to a non-profit. For Holidays in the Vineyards, 10% of sales will be donated to a Hurricane Relief Fund. This is a gift you can feel GOOD about. Umm… Can you say CUTE! This is one of my favorite gifts year after year. We highlighted the Reindeer pourer in our Holiday Video from last year. These aerators add the perfect holiday touch to a useful gift for the wine-lover. While the wine-lover in your life may already have an aerator, I bet they don’t have one that is Santa shaped! Page Mill Winery will have a number of these on display in their tasting room, and you may even see one or two in action as they fill your glass. We all have those people in our lives who are just constantly wanting to learn and soak up more information. 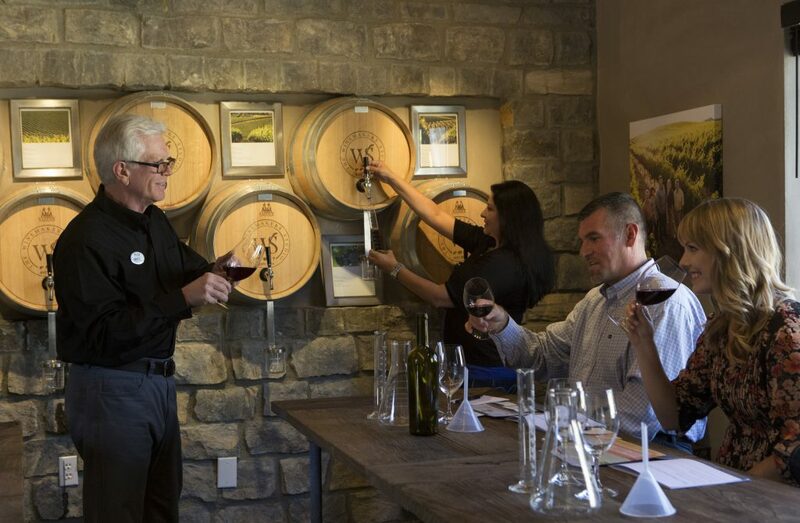 Finding the perfect class for them at Winemakers Studio may just be the perfect fit. I would suggest the Winemakers Blending Experience, where you can learn the process a winemaker takes to find the perfect blend AND get to take a bottle of your own blend home! They have lots of other choices too, like Wine and Food Pairing, Black Glass Blind Tasting, or even a fun Tiny Bubbles experience. Art is always special when it is purchased from a place in the heart. 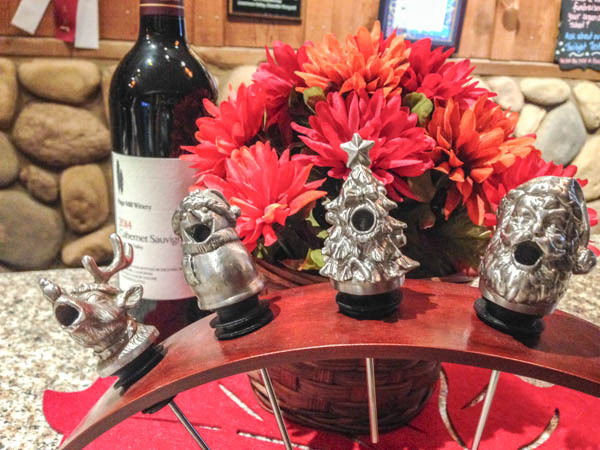 While buying art at an event like Holidays in the Vineyards is special in itself, the art by Mario that will be on display at Cedar Mountain has an even more special story behind it. 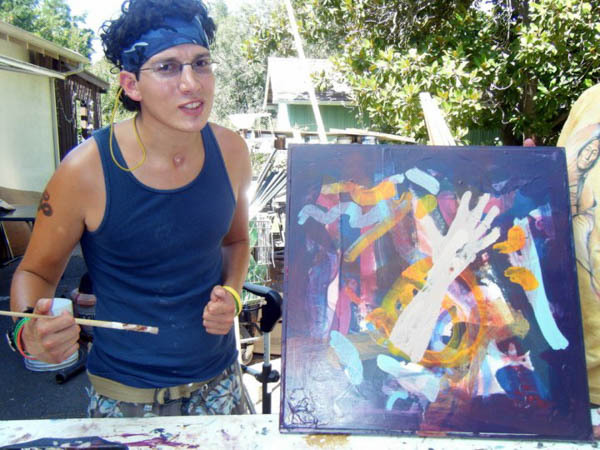 Mario suffered a traumatic brain injury in an accident some years back, since then he has rose above expectations and now creates beautiful art. He will be selling his art during the event to raise funds to tell his story in a documentary. Check out more about the fundraiser here. 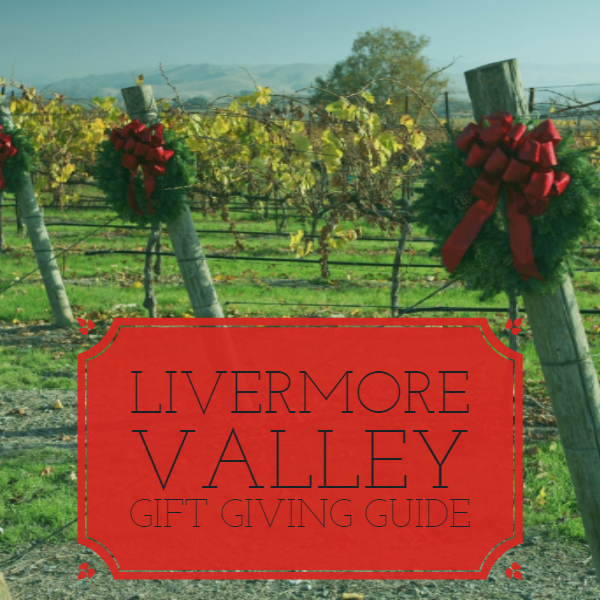 Who doesn’t love Livermore Valley Wine Country?! Sharing the joy that you felt during your weekend of tasting if maybe the best gift yet. 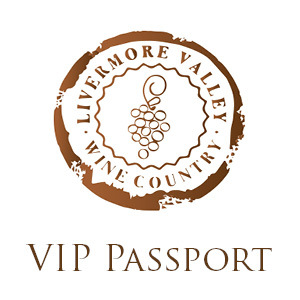 This year there are two passports available, the general passport gives holders a complimentary tasting for two at each participating winery, while the VIP gives holders UNLIMITED tastings for 2 at participating wineries. You can use code Holiday121 to receive special pricing of $129 for the general and $229 for the VIP passport. Wow… that is A LOT! Guess what though… there are even MORE vendors and specialty items that will be hosted throughout the valley. See you this weekend!